Several years ago I decided to visit Osaka for a holiday. Within 24 hours of arriving I developed mild abdominal discomfort and profuse diarrhea. I knew that this was probably linked to some of the street food I had eaten in Bangkok. Before I go into details about the Japanese healthcare system, let me get one thing straight-Japanese people live longer than most people on this planet and it is not due to the healthcare system but because of their healthy lifestyle. Anyway, I had such severe cramps that I decided to see a doctor and get something that would stop the diarrhea. However, unlike the US, Japan does not have many outpatient clinics and there is a serious shortage of primary doctors. So off I went to the nearest emergency room. Coming from Canada, I quickly learned that the Japanese healthcare system has one thing in common- you wait, wait and wait. After filling all my paper work and providing my travel insurance, I had to wait 7 hours in a congested room. The nurse later came by and asked me to provide a stool and urine specimen. There is no such thing as patient confidentiality or privacy. Because the toilet was occupied I had to fill those tiny vials with by body specimens behind a see-through curtain. After an agonizing long wait, I finally saw the doctor who never spoke a word but just nodded. I did not know if he understood what my complaint was. After a very brief exam lasting less than 2 minutes, I was sent back to the waiting room. One hour later, I was given a prescription that I was told to take the pharmacy, where I waited for another 45 minutes. I have no idea what the stool and urine specimen revealed and I had no idea what the prescription was for. Thank god my diarrhea had subsided and the next day I decided to see a doctor after getting a referral from a guest at the hotel. Once I got to the doctor’s office, the Canadian experience hit me again- I had to wait 2 more hours and then finally the doctor saw me for less than 2 minutes. Since I was feeling better he told me not take the medication. That was it- he said no exam was necessary but just pay the cashier on the way out- $200 ($150 was for the medical history and personal details which I completed). So what did l learn about the Japanese healthcare system? Well, just like in Canada, it is important not to fall sick in Japan otherwise, you will have to wait a long time to see a doctor and even if you see one, the time spent with you will be less than a few minutes. 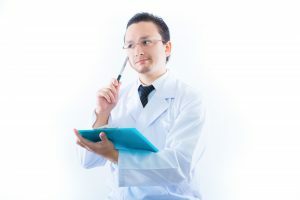 Japanese doctors are paid about $150K a year and that is not a lot of money in Japan. So to make up, they see many patients- 100-150 a day and that mean each patient barely gets 2-3 minutes. To make things easier, most patients are given some type of prescription and ordered to undergo tests, whether they need them or not. One can imagine how many medical disorders may be missed in such a fashion. There are not enough outpatient clinics and even though hospitals look great from the outside, once you go in, they lack basic medical equipment and staff. Japan does not have many doctors in many specialities and thus most patients simply wait. Waiting times tend to be months and even years. Even though Japan has innovative technology, getting an MRI or a CT scan can be a major ordeal in most hospitals. The country simply does not spend enough money on healthcare and most healthcare institutions are operating at a loss.1 While the Japanese are proud of their universal healthcare system, seeing patients in 3 minutes and sending them home with prescriptions can be risky if one has a chronic disorder or cancer. Even though Japanese are at a very low risk for heart attacks then other populations, they are more likely to die if they do, because of lack of doctor time. Japanese patients often stay in hospital for a few days for something like hemorrhoids-, which would be unheard off in the USA. Unlike the USA, Japan has no bona fide trauma hospitals and so if you are in a motor vehicle accident, you are going to be in big trouble, especially if you were a pedestrian. Mainly because of healthcare deficiencies, unlike most of its neighbors, Japan has not become a major leader in medical tourism. All in all, my experience does not mean much because after all Japanese have the longest life span, lowest infant mortality and live long healthy lives. But mind you, cost cutting in healthcare also has a limit beyond which there is steep fall, which can immediately shrink life span. So far, my belief is that the Japanese have been living on a lot of good luck rather than good healthcare. ← Top 3 Made in Japan Muscle Pain Medication! want to recommend you few attention-grabbing things or advice.